When Oscar wakes to discover Timothy – a HUGE, hairy woolly mammoth, outside his bedroom window he can’t believe his eyes. But Timothy needs Oscar’s help…his little brother has gone missing! 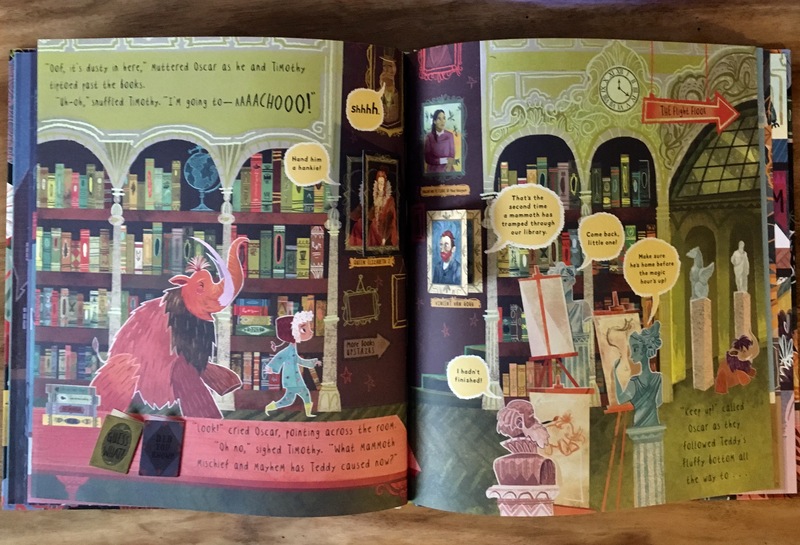 Follow Oscar and Timothy through a magical museum of curious creatures and exciting exhibits as they search to find the mammoth before the clock strikes one! An engaging book bursting with fabulous illustrations and fascinating historical lift the flap facts. Learn about Charles Kingford Smith, how big a triceratops head could grow to be and Van Gogh’s paintings. A book that will be loved by both boys and girls aged three to six. 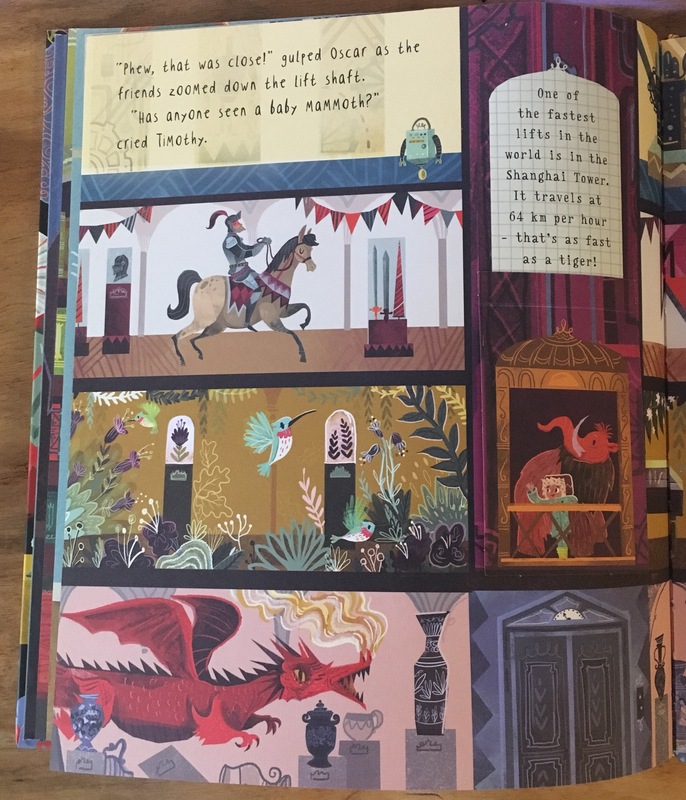 A beautiful addition to your child’s bookshelf. 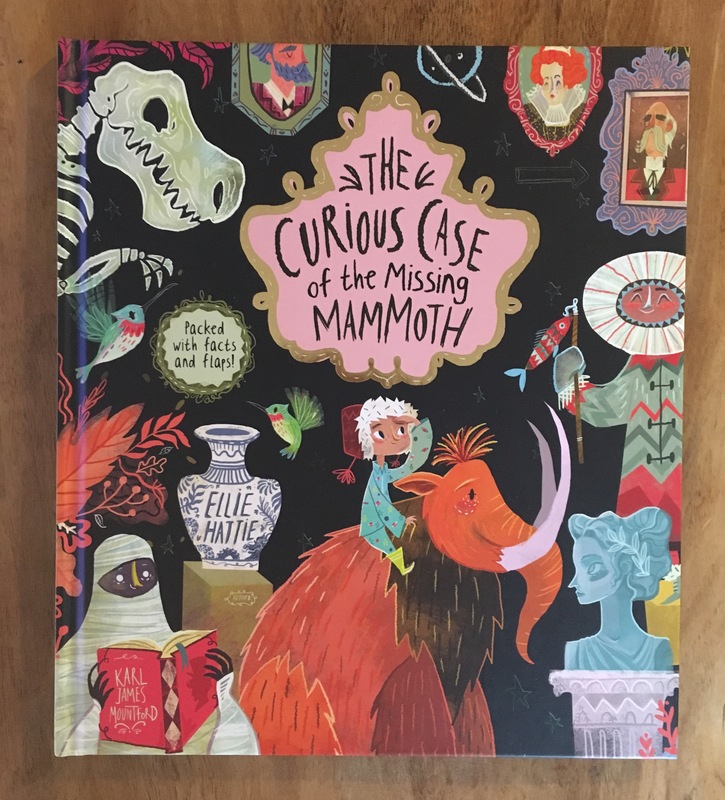 The Curious Case of the Missing Mammoth was published last week, you can buy it from Waterstones here.